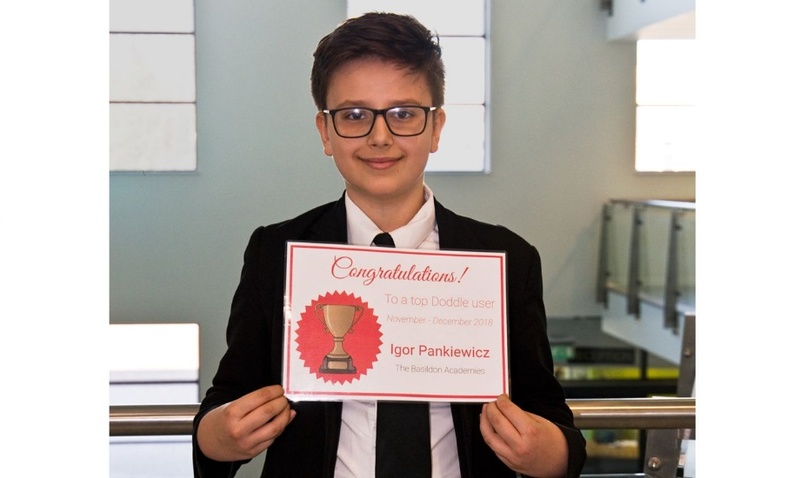 Congratulations to Year 8 student Igor Pankiewicz who received a special award from online homework company, Doddle. Igor was recognised as being the most active online user nationally in the Year 8 category. As well being awarded a certificate of achievement Igor also received an educational gift pack. "I was very proud to receive the award. I check my homework regularly & complete it as soon as I can. I also use Doddle’s revision materials to help further my knowledge of different topics."